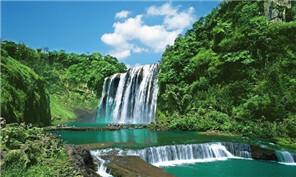 The annual conference of the Eco Forum Global will begin in Guiyang, the capital of Guizhou province on July 6. Guizhou Provincial Development and Reform Commission has approved a project of setting up fund for big data industry in Guizhou province, local media reported on June 6.
series of activities themed on the publicity and popularization of cultural heritage knowledge were held in Guiyang city on June 9. Liu Fen - unlike traditional teachers who tend to dominate the class - gives more freedom to her students, letting them do what they want. The Yunfeng Tunpu Culture Tourism Area is an ancient military outpost that today attracts armies of tourists. The exhibition "China Week: Colorful Guizhou, Charming Culture" kicked off in Kathmandu on June 15. Local farmers are encouraged to grow edible fungi on organic compost made from agricultural wastes such as stalks, wood bits, and hulls of cotton seeds. A cultural activity based on the Dragon Boat Festival was held at the Confucius Academy of Guiyang on June 18.